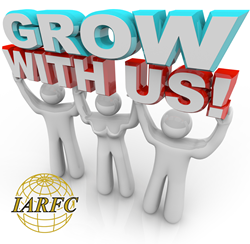 The International Association of Registered Financial Consultants (IARFC) is extremely excited to announce a change in the requirement for Association membership and the Registered Financial Consultant (RFC) designation and Master Registered Financial Consultant (MRFC). Effective immediately, a Life Insurance license will satisfy the educational component of the qualifications to become a member of the Association. This is an important step to bring the IARFC into the future and broaden the scope of the Association and its members to the public we serve.”...Vice Chairman Nicholas Royer. This change is part of a more involved process. When the IARFC began its path to third party accreditation, every aspect of the organization was reviewed and scrutinized to meet the strict guidelines of the National Commission for Certifying Agencies (NCCA). For the public – knowing that their financial professional is an RFC assures them that their potential insurance advisor is vetted for a high standard of ethics. Many consumers do not start out with investments or complicated strategies when putting together their financial roadmap. Insurance is a fundamental basic of any financial plan. For the insurance professional – being a Registered Financial Consultant emphasizes more of a total need of planning, not just selling a product or package. It elevates the motivation, education and dedication of these professionals to be part of a larger financial community. To become a member of the IARFC and qualify for the RFC or MRFC designation, go to the IARFC website and review the qualifications. Application questions may be addressed to Amy Primeau, Membership Services – amy(at)iarfc.org.